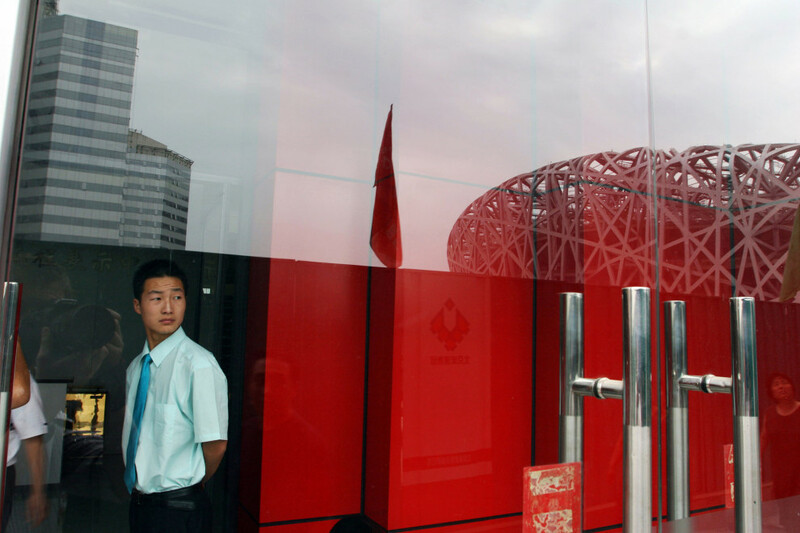 A man looking out onto the 'Bird's Nest' Olympic Stadium. 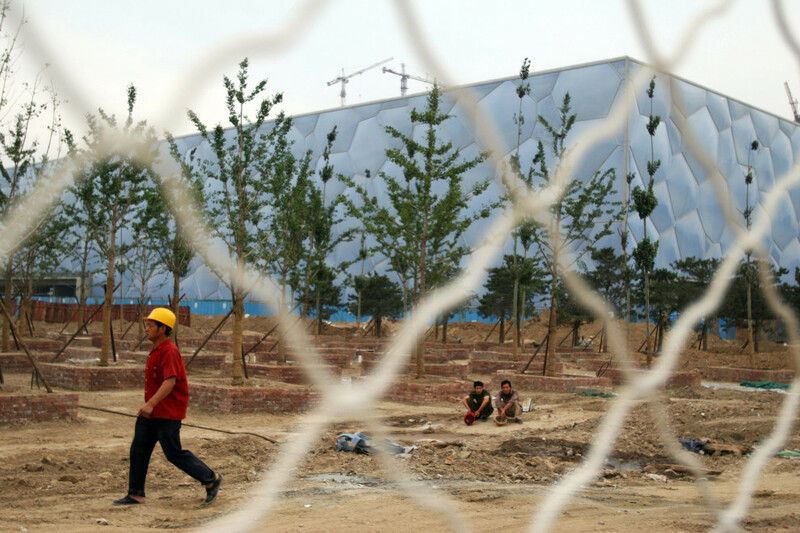 Workers in front of the 'Water Cube' Olympic aquatic centre. 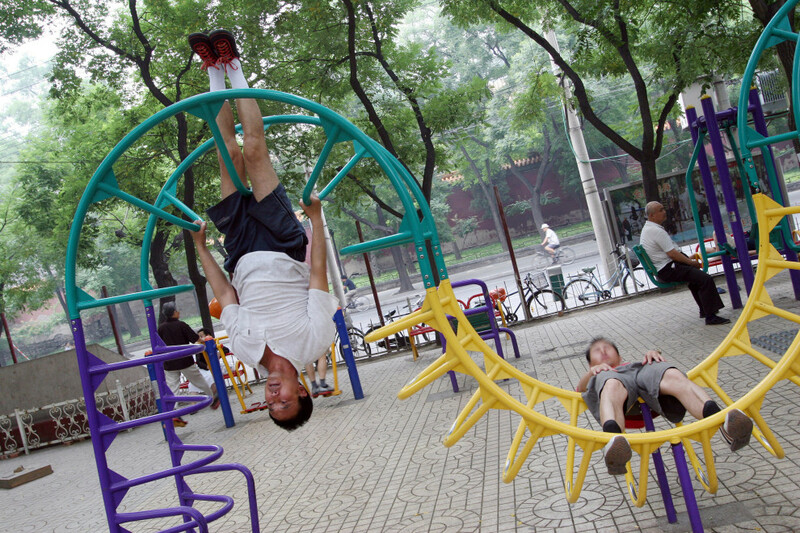 Beijingers exercise in a specially built fitness area, erected prior to the beginning of the 2008 Olympic Games. 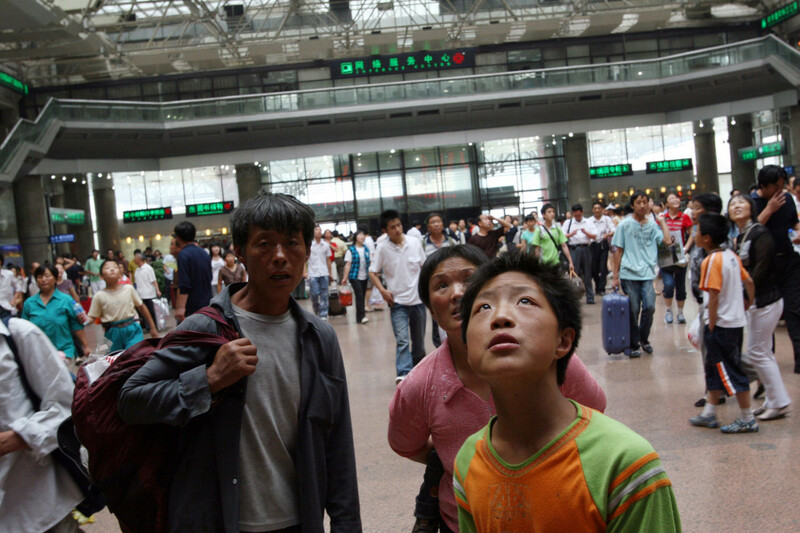 Passengers in Beijing West train station. 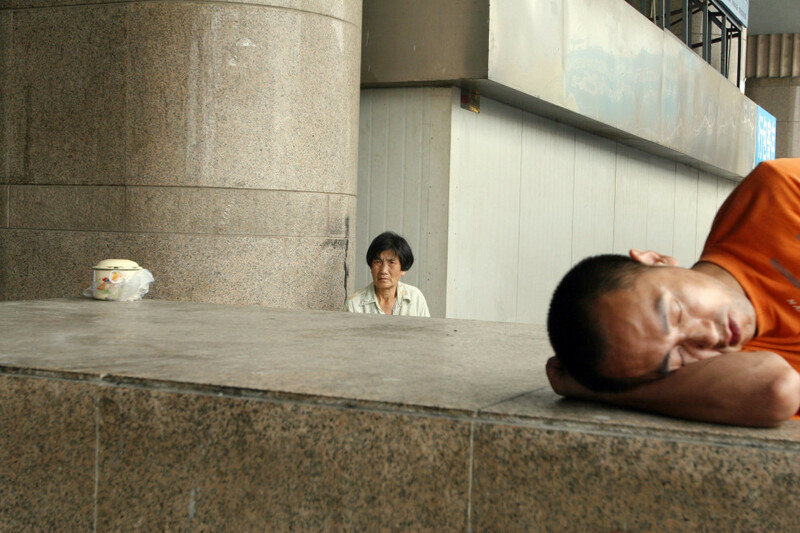 A man sleeps in fron of Beijing West train station. 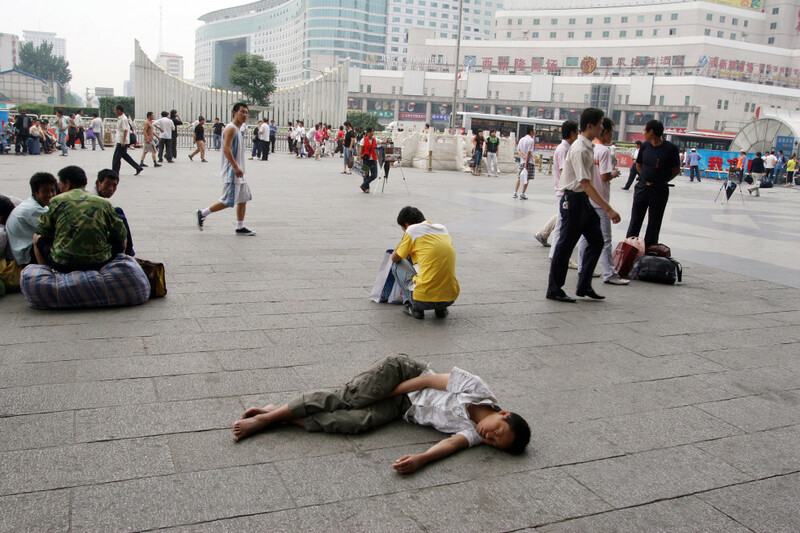 Passengers outside Beijing West train station. 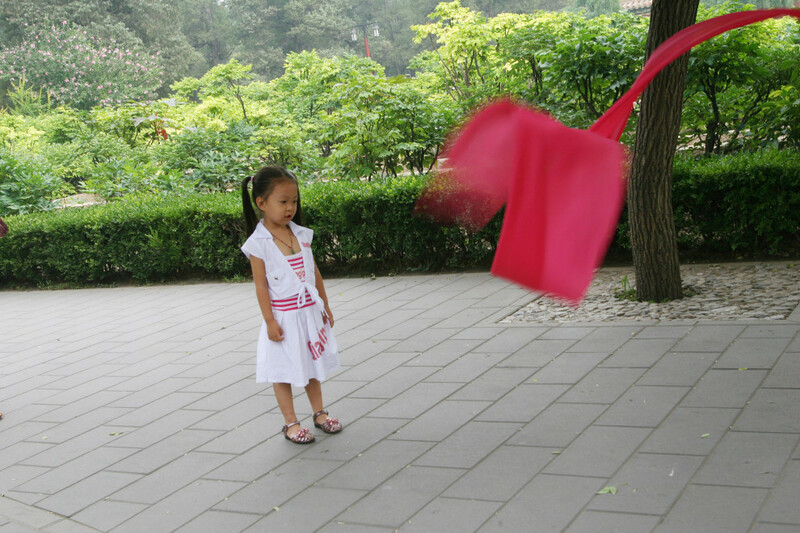 A young girl in Jinshan Park, located north of the Forbidden City. 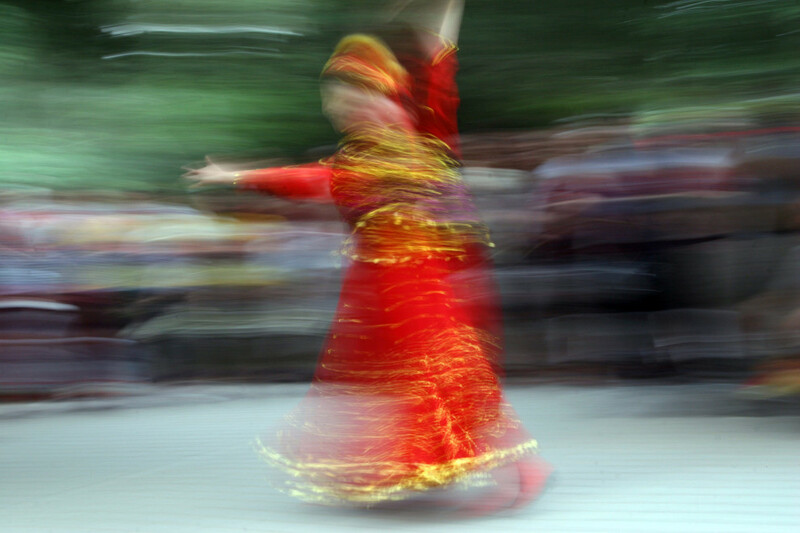 A woman dancing in Jinshan Park, located north of the Forbidden City. 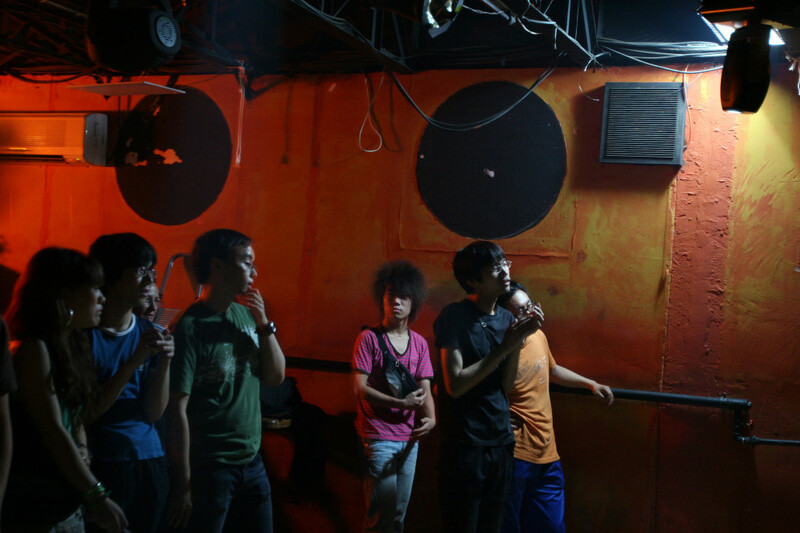 Young Chinese dancing in a nightclub in the Sanlitun district of Beijing. 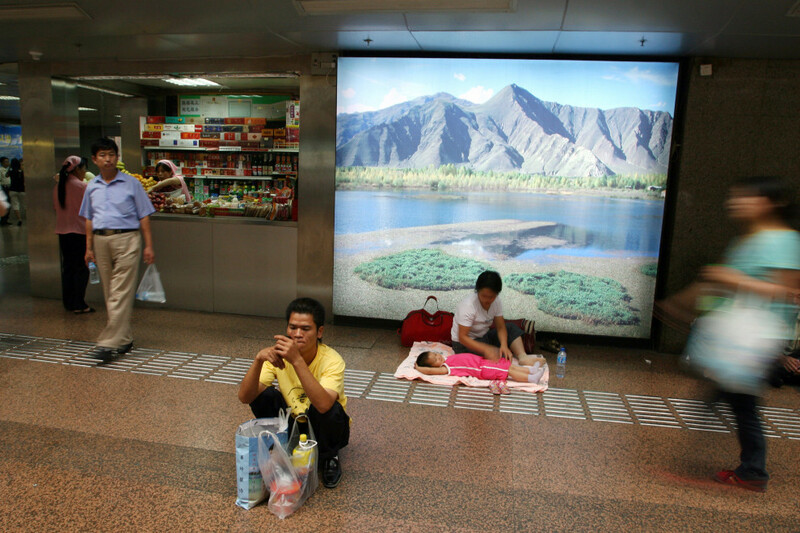 Passengers in Beijing's west train station. 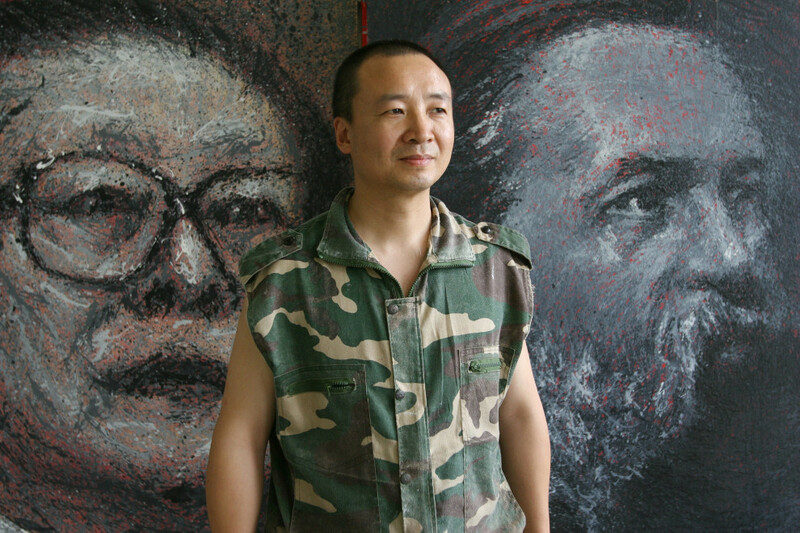 An artist stands in front of his paintings in his studio in the Songzhuang art district. 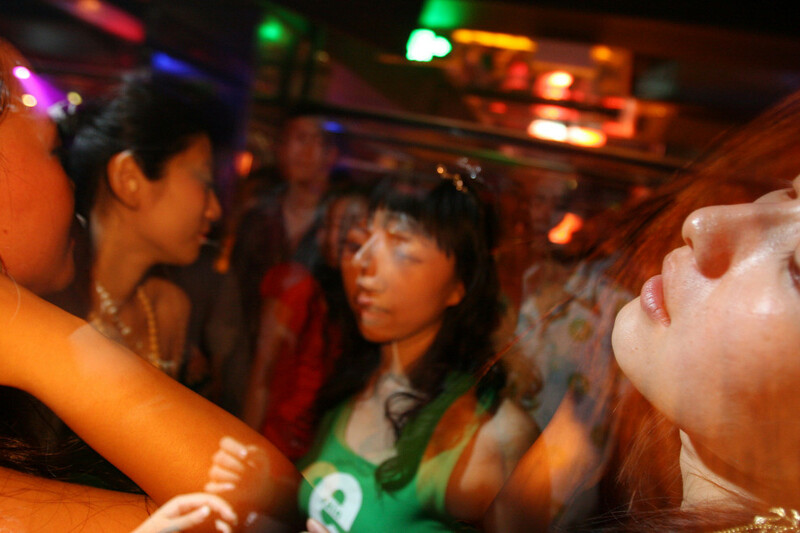 Exactly one year before the beginning of the 2008 Olympic Games, the German newspaper Die Zeit sent a team of reporters to Beijing to report on the preparations for the most important event in modern Chinese history. I accompanied Die Zeit’s reporters as they visited the key Olympic venues, met with prominent businessman and artists and travelled the city in an attempt to discover the potential impacts on Beijing’s residents. The 2008 Olympic Games proved to be a phenomenal success and announced to the world that China had arrived in the 21st Century as a new world power.